Jody A. Bedenbaugh is a partner of Nelson Mullins Riley & Scarborough LLP who practices in Columbia in the areas of banking, creditors' rights, and bankruptcy. Mr. Bedenbaugh represents banks in connection with regulatory and compliance issues, vendor relationships and outsourcing, and transactional matters. He regularly serves as outside counsel to banks on a wide variety of matters relating to bank operations and its customer relationships, including issues relating to deposit accounts, multi-party and survivorship disputes, powers of attorney, trusts and other fiduciary issues, and corporate investigations. He also advises banks on account documentation for deposit accounts, lending, cash management and treasury services, electronic and mobile banking, and other consumer and commercial banking products. In connection with his banking practice, Mr. Bedenbaugh defends banks and lender clients in state and federal court litigation involving bank operations and lender liability. In particular, he frequently handles cases involving check, wire and other bank account fraud and has experience with all aspects of Articles 3, 4 and 4A of the Uniform Commercial Code. In addition, Mr. Bedenbaugh regularly represents secured and unsecured creditors in actions in state and bankruptcy courts, as well as out-of-court workouts. He also represents creditors, debtors, trustees, prospective buyers of assets and committees in bankruptcy court cases and adversary proceedings. Mr. Bedenbaugh has substantial experience in bankruptcy matters, including nearly all aspects of consumer chapter 7 and chapter 13 cases and commercial cases under chapters 7, 11, 12, and 15 of the Bankruptcy Code. On behalf of his creditor clients, Mr. Bedenbaugh has litigated and successfully handled objections to use of cash collateral, motions for relief from stay or for adequate protection, claim objections, motions to dismiss or convert, motions to compel the debtor/trustee to assume or reject executory contracts, applications to sell property under Bankruptcy Code Section 363, and objections to disclosure statements and confirmation of plans. Mr. Bedenbaugh regularly advises secured creditors on the ways in which they can maximize their return and minimize risk in chapter 11 and all aspects of a debtor’s attempted “cram down” of the secured creditor’s claim. Mr. Bedenbaugh has also defended suits to recover alleged preferences and fraudulent transfers. 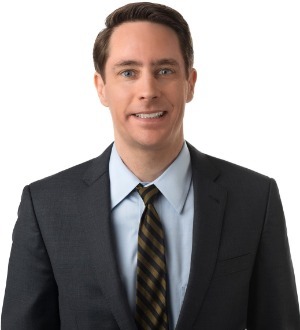 In addition to representing creditors, Mr. Bedenbaugh has represented debtors, trustees, committees, prospective buyers of assets and other parties in interest in bankruptcy cases. With respect to creditors' rights in state court, Mr. Bedenbaugh has represented banks and other creditors in non-jury and jury matters, including obtaining jury verdicts in excess of $4 million. He has handled post-judgment enforcement and supplementary proceedings, restraining orders in aid of judgment enforcement, registration of and motions to enforce foreign judgments, motions to appoint a receiver, and pre- and post-judgment attachment.